ePub to Kindle is an instrumental tool for reading eBooks on Kindle devices. 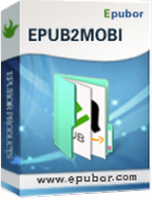 One click to convert ePub to Kindle mobi format with amazing conversion quality and speed. It is easy to use, and it supports batch conversion. What’s more, you can also edit EPUB Metadata before converting!